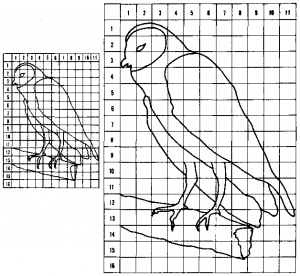 Learn the basics of using a grid in your artwork to produce an accurate image on a larger or smaller scale. Mastering this skill will give you limitless possibilities in creating works of any size from an existing image. Master Painter Theresa Dawson will deconstruct the principles of this classic technique used by generations of artists, including Leonardo de Vinci, Chuck Close, and Vincent Van Gogh. This will be a group project, and each student’s completed grid drawing will be painted and assembled together as one large piece to show in the Art Center. Theresa is a member of the Lost Pines Art League, and is currently showing in the Studio E Gallery of the Art Center. This class is open to all levels, no drawing experience is required. (Ages 16 and up).